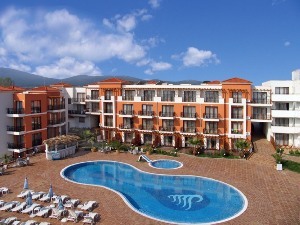 Chernomorets is a town on the Black Sea coast of southeastern Bulgaria. Chernomorets is a popular seaside resort. Chernomorets lies some 24 kilometres southeast of Burgas, at the south coast of Burgas Bay, the Bulgarian Black Sea Coast's largest bay. 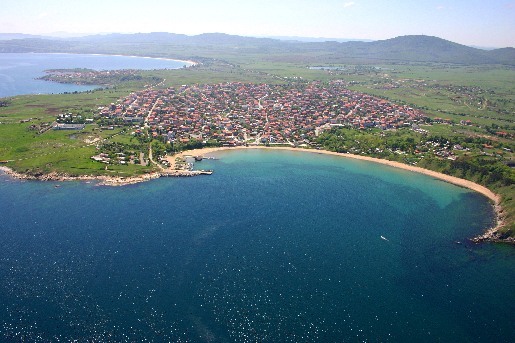 The town lies 5 km north of Sozopol. Until 1951, Chernomorets was known as Sveti Nikola ("Saint Nicholas"). The current name, Chernomorets, means "Black Sea man". Chernomorets lies at the low northern slopes of the Strandzha mountain, between Cape Emine to the north and the Arkutino marshland to the south. To the east of Chernomorets is St. Ivan Island, with Sozopol to the southeast of the town along the seaside road. Chernomorets has an Eastern Orthodox church dedicated to the town patron Saint Nicholas. A garden called the "Garden of Eden" has been landscaped just in front of it.